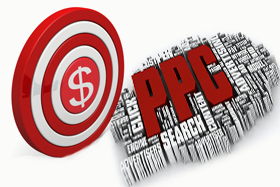 Pay Per Click or PPC is a great way to drum up new business. If done correctly it has the ability to not only provide you with with leads but high quality leads. On the surface however, a Pay Per Click campaign sounds simple. I mean all you do is place a nice ad and every time somebody clicks on your ad you have to pay Google for the click right? Wrong, there is a lot that goes into running a successful PPC campaign. You must start by doing appropriate keyword research. Do not be the person that makes the mistake of paying for keywords that you think is what your customers are searching for however, the clicks you are getting from the campaign are not producing any leads. One of the biggest mistakes that are made is when the small online business owner sends their PPC ad to the home page of their website. Why is this a mistake? It is a mistake because, when a potential customer clicks on your ad they are looking for something specific on your website. For example, if I click on an ad for computer monitors I expect to go to a page with computer monitors and not to a general website home page showing a bunch of electronics. It is absolutely critical that you not only have a landing page but you must optimize your landing page as well. Let’s take a look at how you can optimize your landing page in order to give the best chance of converting your visitors. Large Call To Action Buttons – If you have a successful website business then I am sure you know what a call to action button is and the purpose of it. On a landing page however, the call to action buttons are going to be a little different. They need to be much larger. A call to action button on your landing page should leave your visitor no questions of what they should do on your landing page. The entire purpose of your landing page is to get the visitor to convert into a lead. Little to NO Navigation – The key of a landing page is to keep the visitors from getting distracted. You do not want to add a bunch of navigation. Navigation provides your visitors the temptation to leave your landing page to less optimize pages. Ideally your landing page will simply have your company logo, information, and some type of form in order to convert them. Important Information Above the Fold – Many times the people that are going to click on your ad are going to be in a hurry. That is why you need to put all relevant information at the top of the page so they do not have to scroll down to find it. A lot of times you could end up getting conversions without the visitor looking around on your site. Content That is Easy To Scan – It is very rare for somebody to go to a website or landing page and read all the content on the page. Most of the time a website visitor will scan the page for the sections that they are looking for. That is why you need to make sure to use a lot of bold words, bullet points, pictures and whatever you can use to make your page easy to scan for information. Few Images that Convey Professionalism – It is important that you do not use a ton of images that are not professional all over your landing page. Just because it is a landing page and is not your website you still need to portray a professional image. To many times small online business owners that are running Pay Per Click campaigns end up making their page look unprofessional which does not bode well for their business. Keep your images few and professional. Fast Loading Times – This is another one that people do not pay close attention to because it is not affecting their actual website. However, you are paying for people to go to this page so you need to make sure that they can get onto your page quickly. You do not want somebody to click on your ad then it not load right away and they leave. This will still cost you a click. Attention Grabbing Headlines – When somebody clicks on your ad you need to send them to a landing page that instantly grabs their attention. I know you have heard me say this about websites before but the same is true for landing pages. A person is going to make up their minds within the first 3 seconds of landing on your page so you must make sure your headlines will grab their attention and make them want to convert. PPC Keywords – Many people think that keywords are only needed for search engine optimization however, this is not the case. You still must make sure that you include the keywords in the text of your PPC landing page. This is something that is often overlooked and ends up costing the business owner big time. Short Contact Form – Do not overwhelm your visitors as the main goal of a landing page is just to collect general contact information. The contact form on your page should be no longer than Name, Phone and Email and possibly address but not necessarily needed. Lose the Clutter – This may sound like a no brainer but next time you are online click on a few ads. You will see there are a ton of small business owners that actually have very cluttered landing pages. Do not fall into this. Make sure that your landing page is professionally designed by your local Phoenix web design company. The difference between a good and bad landing page could be the difference between a successful or not successful pay per click campaign. You will want to make sure that you have well optimized landing pages. If you are going to pay for every visitor to your page you will want to give it the best possible chance of converting the visitors into leads.